Download this plug-in, strongly recommended, thanks Oli for the information. Can be used as an ivy generator too. A component with a transparent png is needed, thats all. 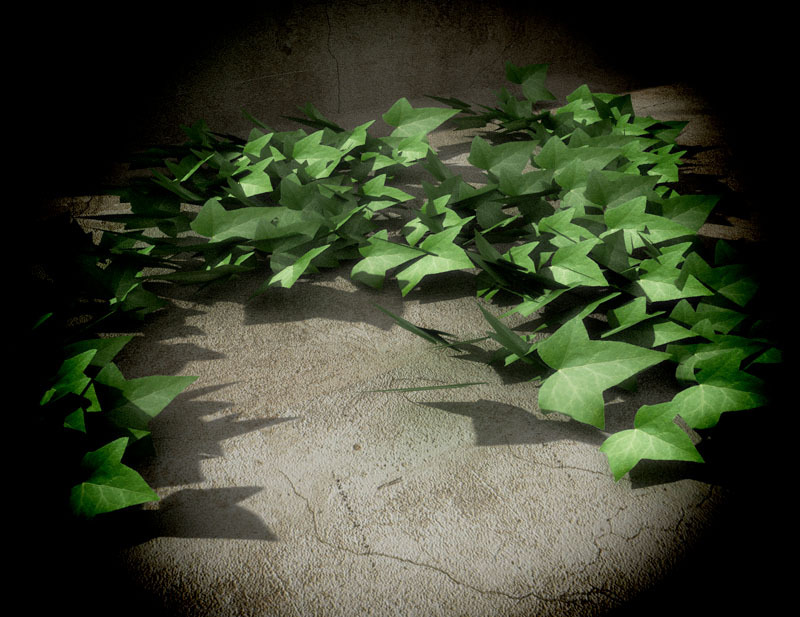 This was just a test using leaf from ivy generator, we'll have something better soon. Have fun. Yes, fantastic tool for generating grass or shaggy carpets as well. I suppose one could make trees as well. I suppose that I may model some trees sid. Fig trees for example. They would be appropriate for your landscapes....I think some olive trees would be great as well. No Med projects I am afraid.